Some men dream of a log cabin in the woods. Frank Stout dreamed in grandeur. Most cows were kept in a shelter, Frank’s barns were grand memorials to him, they are almost 100 years old and are still in great shape. He built his log manor and cabins for his sons and all the other buildings that comprised his Island, named The Island of Happy Days. The JEWEL of Red Cedar Lake. He began to dream of a golf course. Only a man that was encumbered with too much money and living in an area of cheap labor could look at that hilly, rocky, cut over land full of stumps and dream of a golf course to rival St Andrews, know as the home of golf. Frank as the guy to do it. They began work in 1919. Horses, men, plows and dynamite were all essential to get the job done. They laid veins of galvanized pipe to irrigate the grass and keep it green. A large building was constructed to house all the big equipment for pumping and irrigate the course. The other end of the building was made for people waiting for a boat to take them back. Stout made a mistake, he planted clover instead of bent grass. He soon found that he had to find someone that understood growing bent grass if he wanted to attract professionals as well as guests to the course. The original course of 9 holes was completed in 1923. “Tagalong” was officially dedicated on Tuesday, August 25, 1925. About 250 invited guests joined in the formal dedication. Whether “Tagalong” was his idea because his kids like to follow him or if it was named after a comic cartoon favorite of the Chicago Tribune is not known. The only way to get to the golf course was by boat. On August 27, 1925 Stout had a match on his golf course between William MacFarlane, 1925 US Open Champion and James Barnes, 1925 British Open Champ. About 250 guests enjoyed the match. MacFarlane won, the score was 71 to 78 in his favor. Membership on Tagalong was by invitation only. The fee was $100 for a couple and $25 for each child. The cost now could be 6 times as much. Many friends and famous golfers continued to enjoy Tagalong until the 40’s. We were involved in World War II, Frank had passed away and a new generation found other amusements closer to Chicago. The course reverted to a pasture and some hay was taken off of it. In 1962, Vern “Shorty” Landes restarted the dream by reclaiming the course from the underbrush. He also added a clubhouse, dining hall, and bar and motel on the property. After 15 years the Kennan family bought it and brought back the name Tagalong. They completed 9 more holes and automated the irrigation system. Recently, while working on the roof of the pump house, the workers found an old canvas golf bag with a variety of old golf clubs. They are interesting to look at, but not the choice of present day golfers. Cheers Bar & Grill was opened in June 2016 under new management. 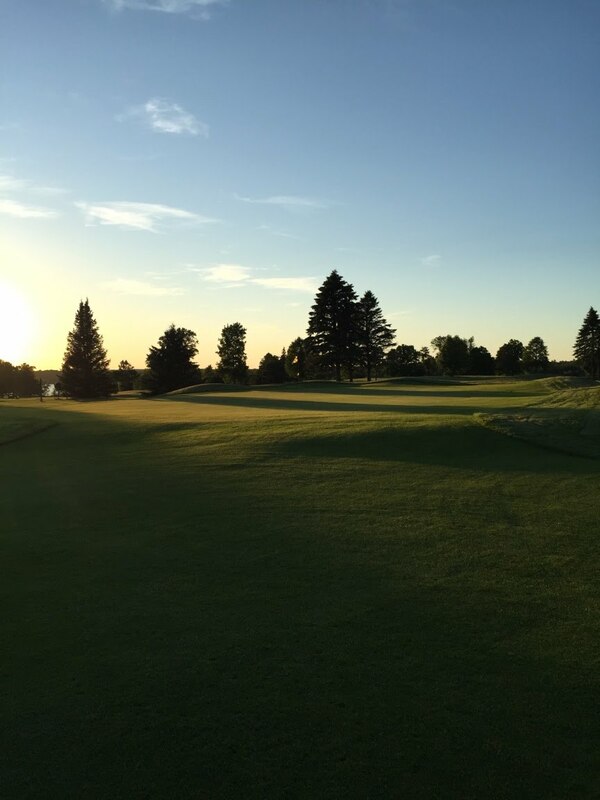 Today, Tagalong is among the most challenging, yet forgiving, golf venues in the upper Midwest. Mother Nature supplies the wildlife, the views, the water hazards, and the sunsets. Tagalong Golf Course and Cheers Bar & Grill look forward to hosting you for your golfing and dining experience.